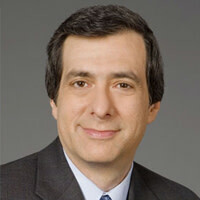 From failing to pass bills to the fiscal cliff fiasco, these folks stunk up the joint, says Howard Kurtz. Has there ever been a worse Congress than the 112th? Probably not, and we should all get used to it. The era of a national legislature boldly tackling major problems is over. The era of the grand bargain is over. Even the era of hold-your-nose-and-cooperate-for-the-good-of-the-country is over. What we saw as the 112th sputtered to a close, snarling and squabbling over the task of cutting taxes for most Americans, is the new normal. There is little incentive in our poisonous political culture for any cooperation across the aisle, or with an administration of the opposite party. Even when it comes to avoiding a plunge off the cliff. The Republican House, with its strong Tea Party wing, pushed the country to the brink of default in the summer of 2011 rather than raise the debt ceiling. The so-called compromise was to set up a supercommittee to cut the deficit. The not-so-super panel failed, setting up a deadline at the end of 2012 before a toxic mix of tax hikes and spending cuts would take effect unless Congress acted. Congress did nothing all year, even after President Obama beat Mitt Romney and won a mandate to raise taxes on the wealthy. After some conciliatory noises, the two sides beat each other up until the deadline passed. Only then did the Senate pass a watered-down compromise at 2 a.m., with the House following suit shortly before midnight. And what did they do? Only what was easiest—extending tax cuts for Americans earning less than $400,000—while doing nothing to cut spending. Instead, the lawmakers postponed the draconian cuts for two months, when we will have another knock-down battle against the backdrop of another potential government default. Left to their own devices, Obama and House Speaker John Boehner might have agreed on a major deficit-reduction package. But it’s obvious by now that Boehner doesn’t have control of his Republican caucus—he couldn’t keep his own deputy, Eric Cantor, in line—and the president was under pressure from his left not to touch Medicare and Social Security. On sheer productivity grounds, this Congress got remarkably little done, passing about 220 bills (many of them minor or ceremonial). Now I know some on the right are glad to see such inaction, on the theory that fewer laws means less intrusive government. But most of the time it means kicking the old can down the road. Immigration reform? No. Climate change? Nah. Aid for Hurricane Sandy victims? Nope. And I won’t even mention guns. On the other hand, the House did manage to repeal Obamacare 33 times—knowing full well it was a symbolic gesture. Other sessions have been lackluster—Harry Truman famously ran against the “do-nothing Congress” in 1948—but this one took incompetence to a higher level. Politico ran a story headlined “112th Congress: The Worst Ever?” last January. So why are things unlikely to change? For one thing, when Obama says House Republicans have a hard time “saying yes” to him, he’s right. He hasn’t done much to court them, but the animus is unmistakable. For another, few moderates are left in either party, thanks to redistricting and, on the GOP side, primary challenges from more conservative politicians. So the Olympia Snowe types who helped broker compromises have left or been defeated. Boehner’s lack of control over his caucus owes to more than his laid-back style. It’s an every-man-for-himself atmosphere in which lawmakers have little incentive to march in lockstep with their leadership. Most Republican House members represent districts won by Romney. They fear only being targeted by right-wing groups in the next primary. And the rising tide of polarization, aided and abetted by a media culture that rewards outrageousness, has almost made cooperation a dirty word. So here’s to the 113th Congress. It can’t do any worse than the previous bunch. And there isn’t much hope it will do better.